(Honesdale, May 31, 2017)…. “It’s all about music and movement!” says Jenna Mauder, the new chairperson of Tunes & Tales, the child-oriented entertainment portion of Honesdale Roots & Rhythm Music & Arts Festival. From 11am to 3pm on June 17th, the day of the festival, Tunes & Tales will offer families dozens of interactive hands-on activities in a new setting: near the playground in Central Park, not far from the main stage. In addition to “free form” activities that will be ongoing, Mauder and co-chair Ryanne Jennings say Tunes & Tales will offer Romping Radishes Story & Yoga at 11am and Dramatic Storytelling and Crafts at 12noon. Snacks and drinks will also be available for children for free—in compostable cups. 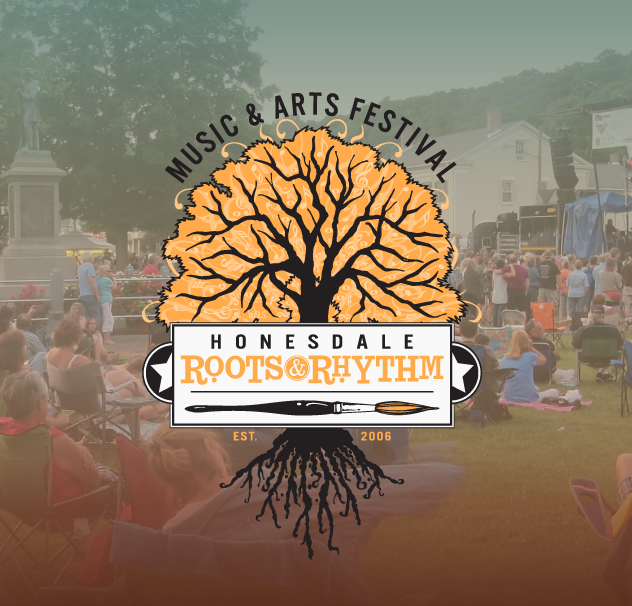 Honesdale Roots & Rhythm Music & Arts Festival, now in its 12th year, is a free event produced by volunteers and funded by sponsors, donations and grants. The festival kicks off with local bands along Main Street at 10:30am and then moves to Central Park at 1:30 with national bands. This year’s headliner is Larkin Poe, a sister duo out of Georgia, preceded on stage by No Good Sister, Thomas Wynn & The Believers and the Bruce Katz Band. Roots & Rhythm Board members would like to thank Lisa Macchia-Ohliger for her many years of volunteer work putting on Tunes & Tales. Photo: Romping Radishes will be at Tunes & Tales!